Over the years Fila has been giving the sneaker game gems upon gems. As the brand takes a look back at their history, they continue to show us why they have had such a huge impact in the game. They are now bringing us the "Static" pack that aims to mimic the black/white/grey pattern that one would see when their TV's were set on channel 0 in the 90s. Once again bringing back the beloved Fila 97, they give us an on court model that was one of the most popular kicks on the market, worn by one of the most popular and versatile players ever. The patent leather hits were an eye catcher then, and is much welcomed now. The white/black affair is only broken up by small hits of red on the midsole, tongue and heel branding. This shoe looks just as awesome now as it did back when Grant Hill rocked them on court. 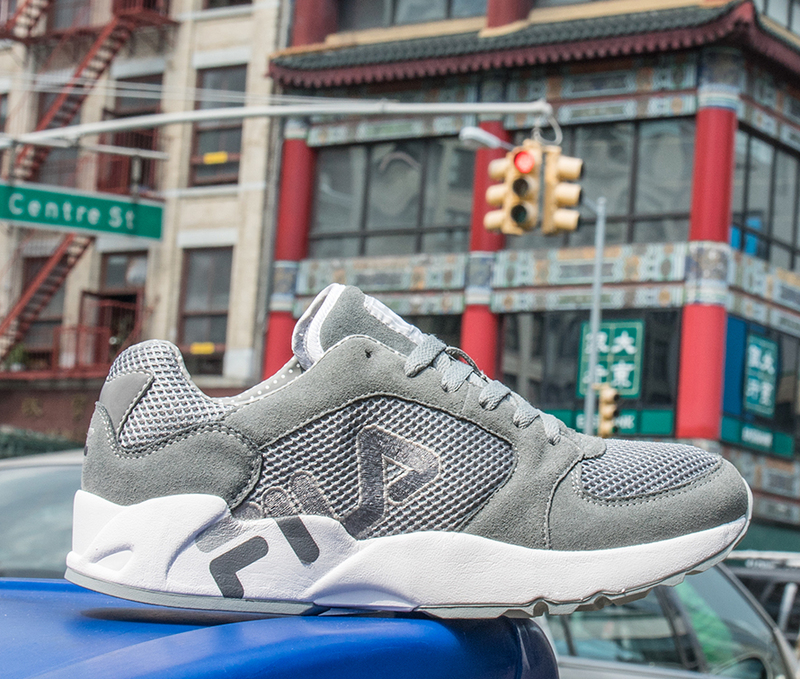 The second part of the pack gives us the Fila Mindbender in a tonal cool grey combination that is sure to help smooth out those last few days of Summer in style. The shoe takes on an all grey suede and mesh upper while a white midsole gives way to an outsole matching the upper. The tonal inner lining and branding close things off in uniform style, making this one shoe that is super easy on the eyes. What do you guys think of this pack? If they are on your list of must cop kicks, hit up Fila's website on August 21st and grab yours. They are priced at $97 (97) and $70 (Mindbender) respectively.